Mack Urban has submitted its latest entry into the competition to stand out from the thousands of apartments going up in Seattle: a hobby room. The firm’s new five-story, 150-unit building at 4455 Interlake Ave. N. includes a 660-square-foot room on the ground floor with a sewing area and sewing machine, supplies, rolling work tables, lockers and cabinets where people can store their tools and supplies, an industrial-sized sink and a demonstration kitchen. The project is called Smith & Burns — named for the site’s land owners in the late 1800s — and a grand opening is set for Feb. 15. So far the building is 25 percent leased, said Laura Gruits, community manager at Smith & Burns. 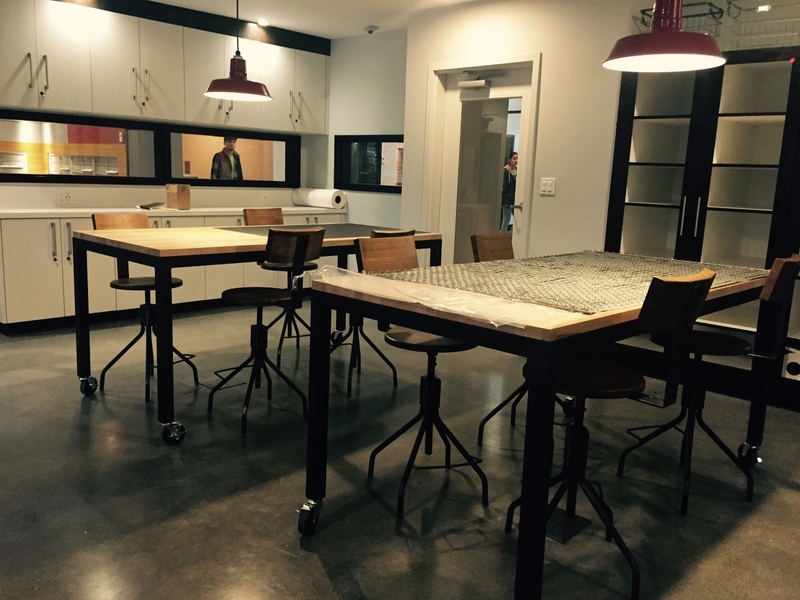 The hobby room leads to a 5,000 square-foot outdoor terrace on the ground floor. A roof top deck is adorned with low-maintenance plants, and trellises where Mack Urban suggested residents could grow hops if they want to brew their own beer. Mack Urban recently built two other apartment buildings nearby. They are designed to stand out from the competition and from each other as well. 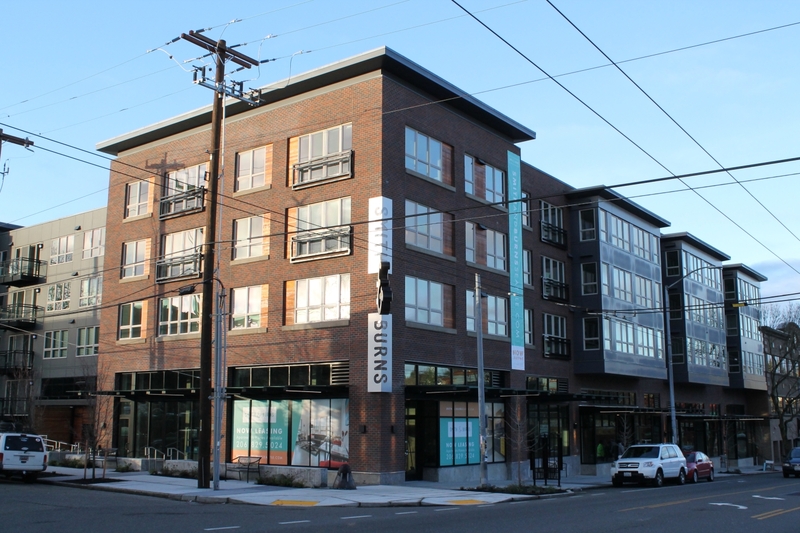 NK Architects and Bartlett Design Co. are the architects on Smith & Burns, and Exxel Pacific is the general contractor. Thomas Rengstorf & Associates is the landscape architect. The building has 5,796 square feet of retail space, 157 parking spaces and another 150 bike storage spots. The theme of neighborhood history runs throughout the building. A wall in the lobby showcases salvaged brick from old houses on the site, and cedar planks from a barn are used as paneling throughout the ground floor. Scrap mill yarns have been turned into carpet for corridors between apartments. Local photographer Brent Smith used vintage window frames from old houses on the site to display photographs of neighborhood landmarks. “They wanted to make it feel like it has been part of the neighborhood,” Gruits said. Mack Urban is participating in the city’s Multifamily Property Tax Exemption program, which requires 20 percent of the units to be affordable housing in exchange for a property tax break. MFTE studios will be restricted to people making less than 65 percent of area median income, one-bedroom units will be held for those making less than 75 percent of AMI and two-bedroom units will be rented to people making less than 85 percent of AMI. The average rent for market rate units is about $3 per square foot, Gruits said. Including the MFTE units, the average is about $2.75 per square foot.